At the heart of Agsol engineering is an understanding and commitment to the needs of off-grid farming communities. Flour production from cereal grains and dried tubers – 50 -100 kg/hr. Interchangeable milling heads for the right job – hammer mill, pin mill, disk mill, flaking mill. Rice mill, oil expeller, mincer, pelletiser. Reduction screw with interchangeable screens and exit gates for different feedstocks and requirements. Agsol machines are a modern, clean, adaptable “aspirational” alternative to diesel mills and manual processing. They are expertly engineered for maximum efficiency, are practically maintenance free and are exceptionally easy to use. 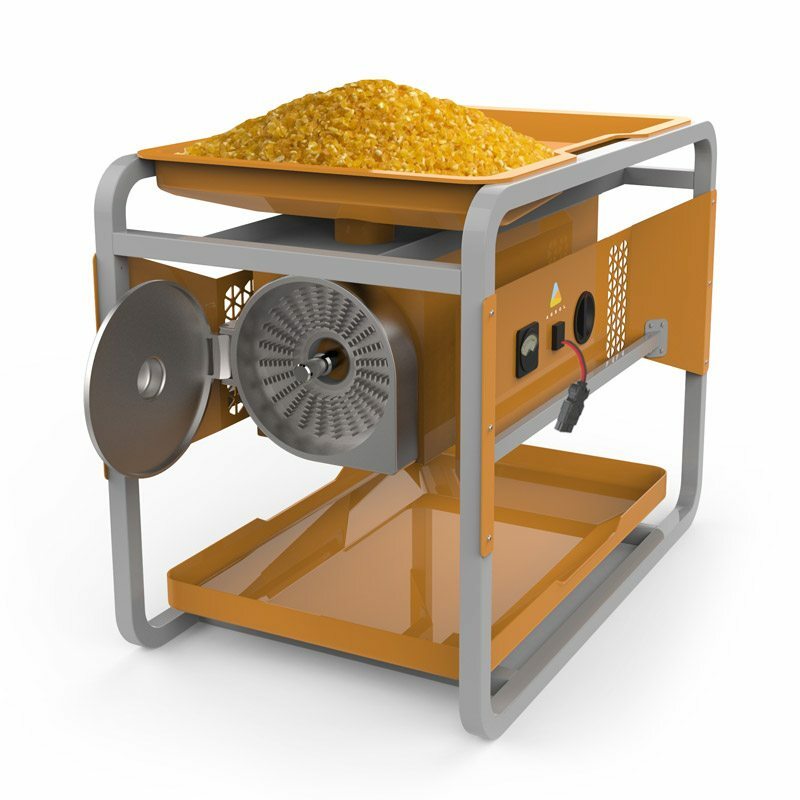 Human effort can generate about 200W of sustained power while the smallest diesel powered mill produces 2,500W. That means there is an energy gap in food processing options for small rural communities. Agsol’s solar powered agro-processing machines pay for a meaningfully scaled solar system faster than anything else on the market – typically less than 2 years. By embedding IoT hardware customers can purchase them under a digital finance model, commonly referred to as pay-as-you-go (PAYG). The power platform is an adaptable power unit that can run multiple machines and devices. At the heart of the Platform is the Smart Solar control Box. 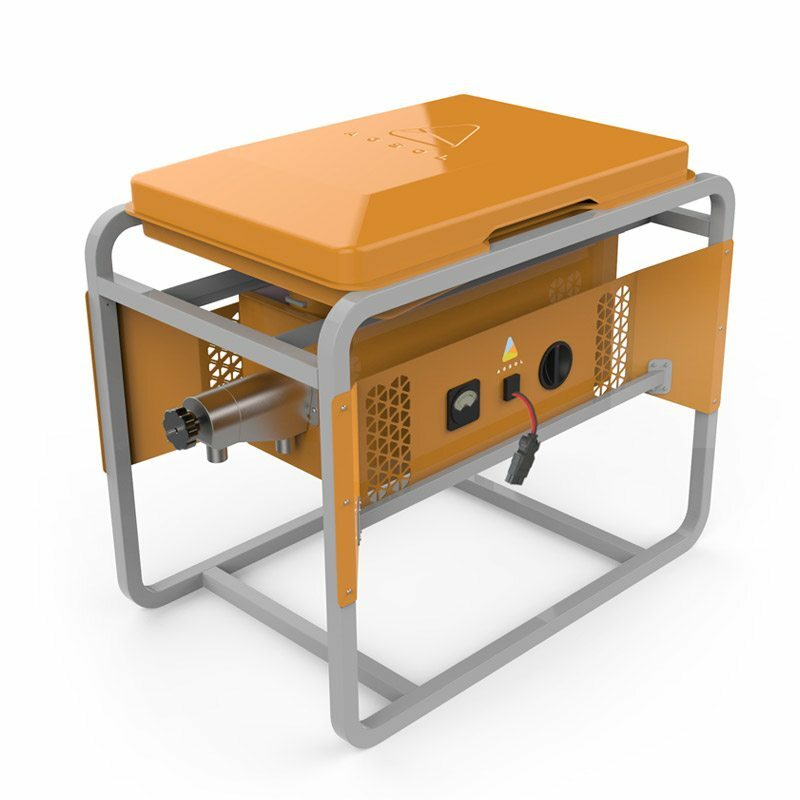 It comes with high amp 24V outlets that can power milling machines, clean water supply, small businesses or a nano grid. It also has low amp 12V outputs for lights, phone chargers and small appliances. With the power platform you can grow your system over time using our simple plug-and-play system to add solar panels, batteries, other machines and devices. ? Download our product catalogue for full features. Are you are interested in becoming a distribution partner? Are you are interested in purchasing an Agsol product?